I think I prefer the more rustic look of the one below that's been 'played' with. Definitely the second one, because my first thought upon looking at the first photo was that this wa sa photo of poo. I'm sorry! Don't apologise, one of the reasons I started playing with the colours on it was because that's what I kept seeing too - it had so much potential if only you could get past that. 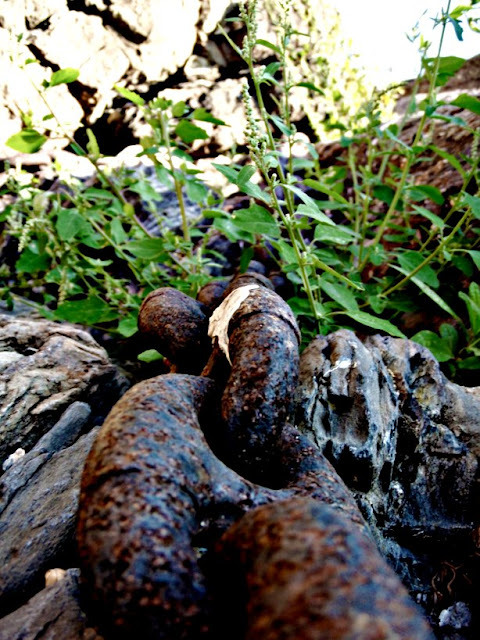 At least in the bottom one you can actually see a rusty chain! Travelday - Where I run out of "wheres"